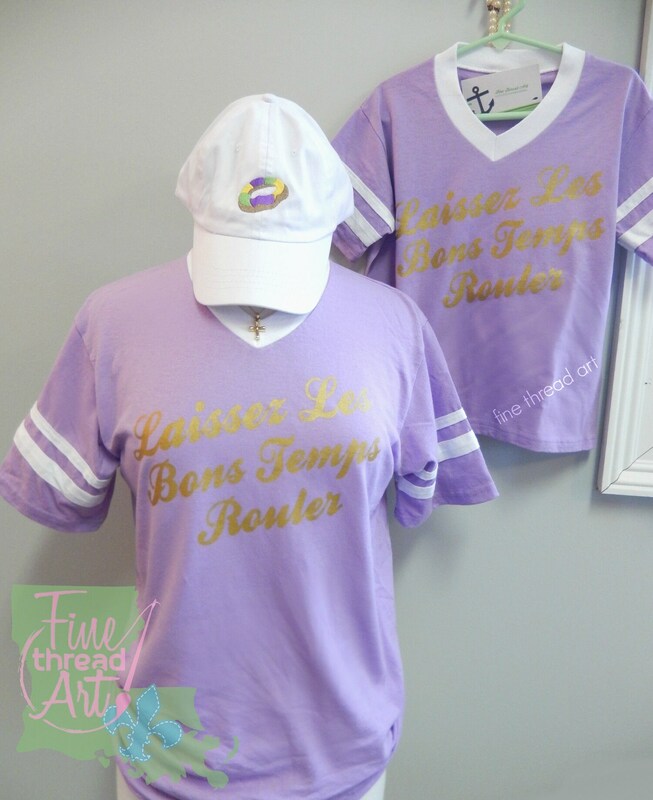 Laissez les bons temps rouler! 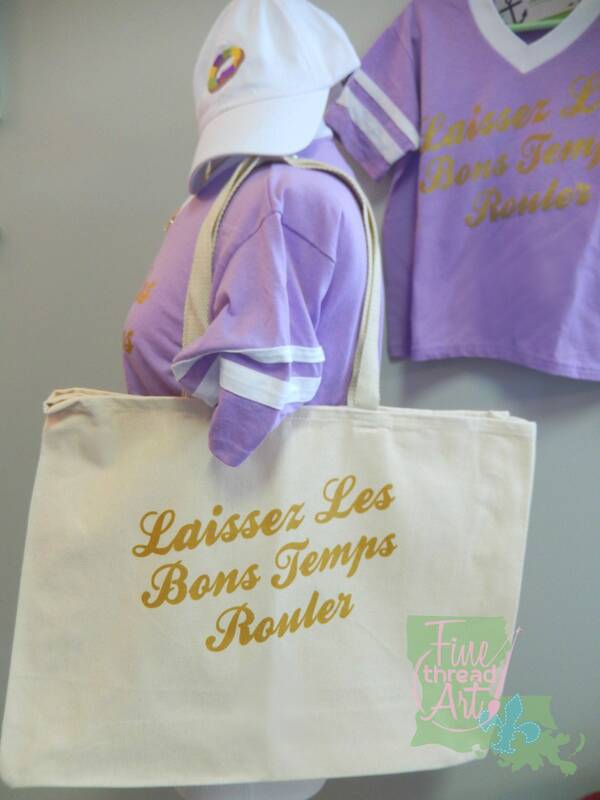 That's let the good times roll in French, and one of our favorite Louisiana sayings! 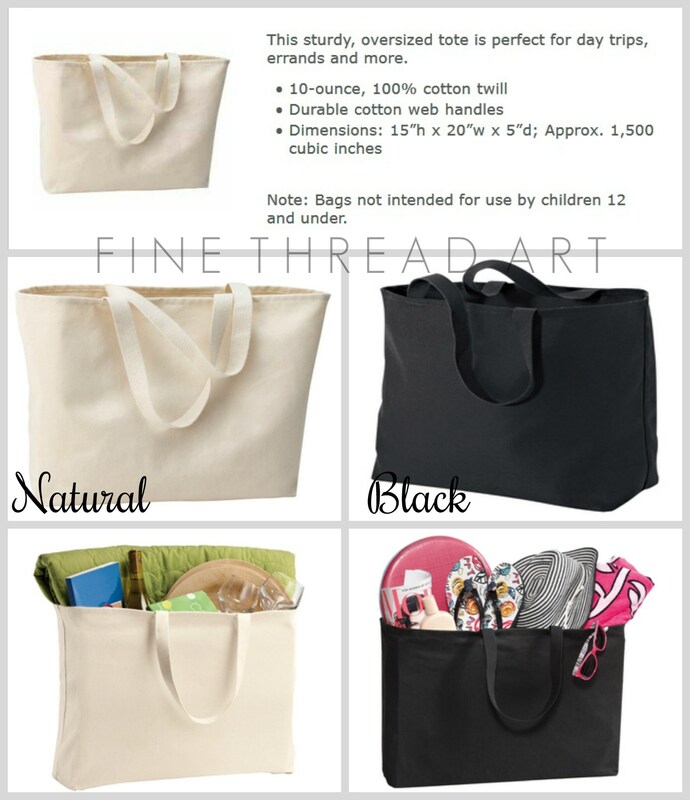 - 2 to 3 weeks from payment until shipment. If you need your shirt by a specific date, please send a message before you order to be sure that I can accommodate your time frame. Thanks! 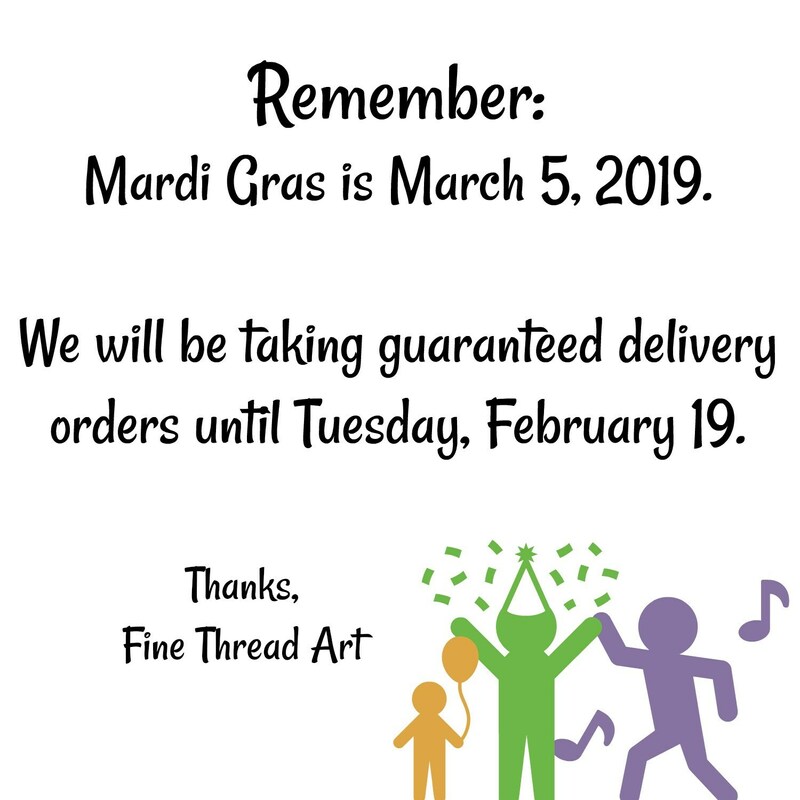 - Guaranteed Mardi Gras orders are being taken until Tuesday, February 19, 2019. 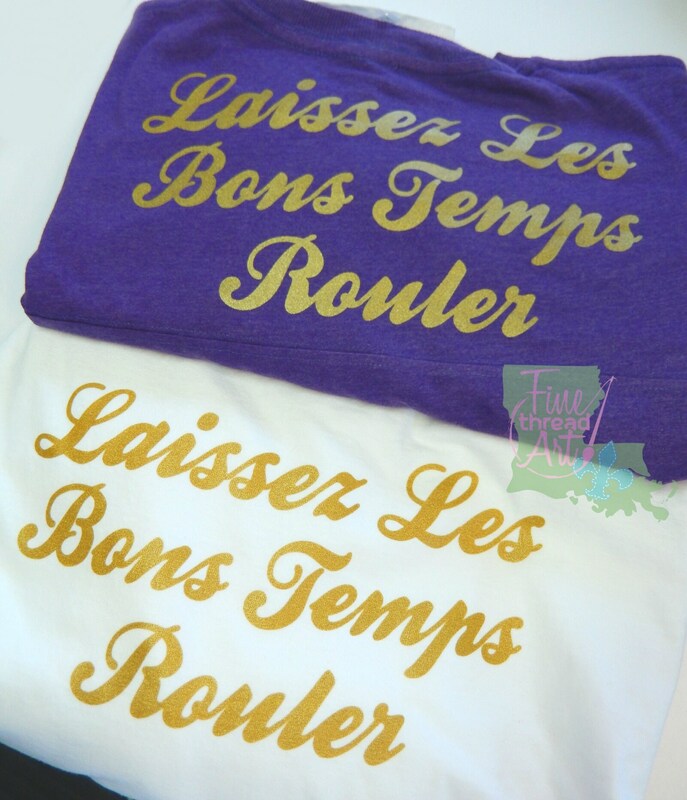 - The "Laissez Les Bons Temps Rouler" design is printed in a gold shimmer screen printing ink. This is not a heat transfer vinyl cut out. - The design cannot be changed or adjusted in any way. It will look exactly like the photos. 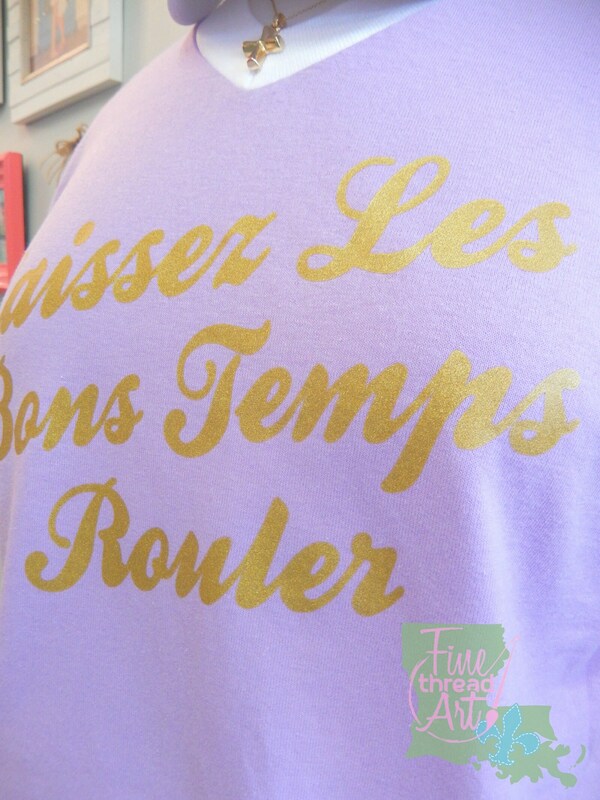 - You can see in the 4th photo how the gold ink will look on both lighter and darker colors..
We can also put this design on other items in our shop like shirts and sweatshirts. If you'd like to get it on another item, just ask! If you have any other questions, just convo me!